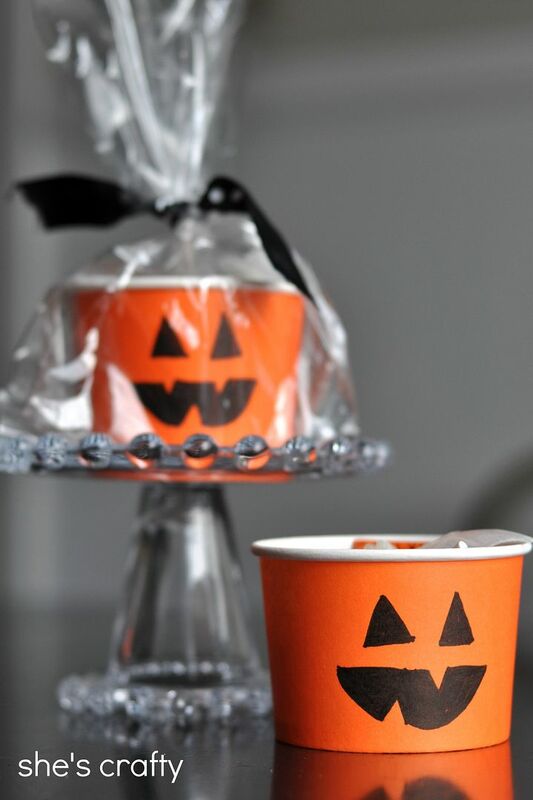 As I was browsing the Target Dollar spot the other day, I found some orange cups and thought they would make perfect Jack-o-lantern treat cups for my son's pre-school class. 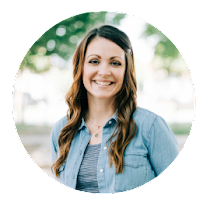 Pretty cute and super easy- just like always! 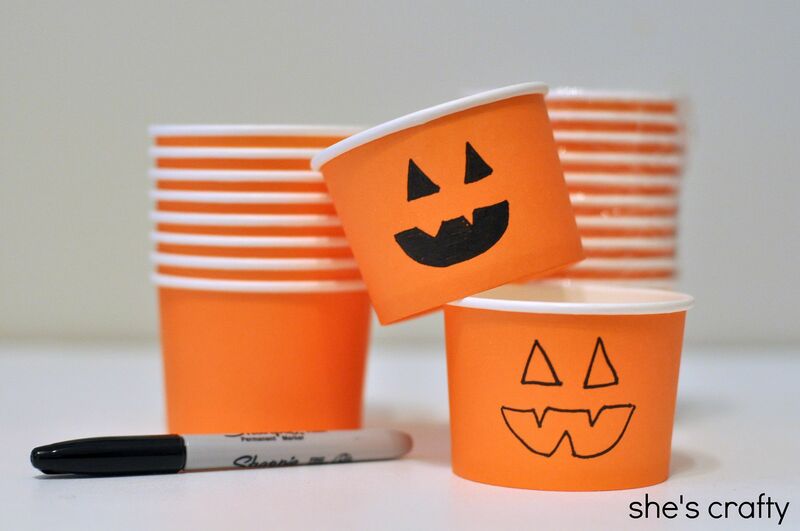 I took those plain orange cups and drew a jack-o-lantern face onto each of them with a Sharpie. 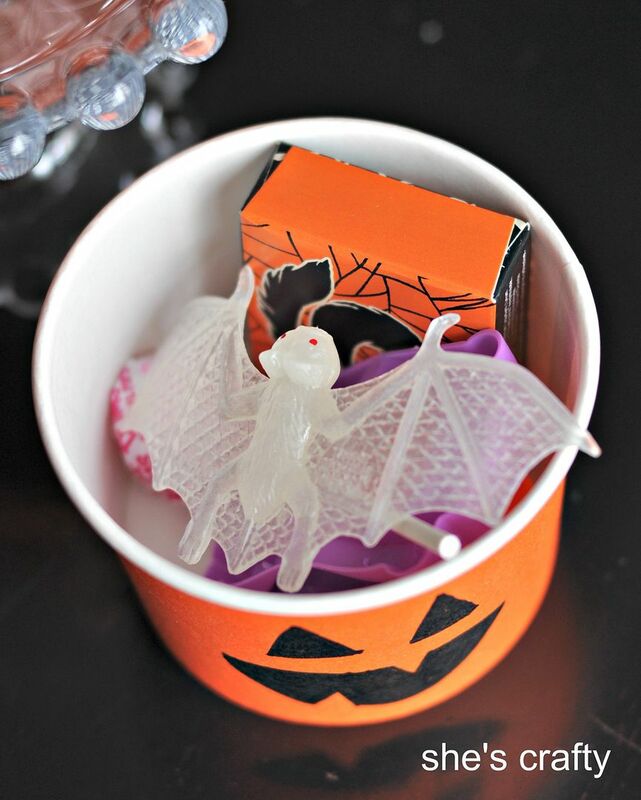 Then I filled the cups up with Halloween trinkets. 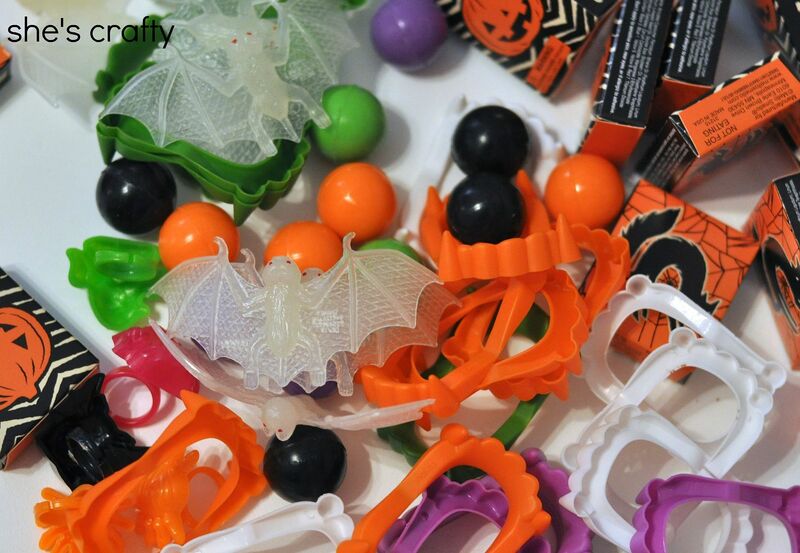 Lots of little treasures that small kids like: tattoos, glow in the dark bats, rings and a bouncy ball -and there is only 1 lollipop! 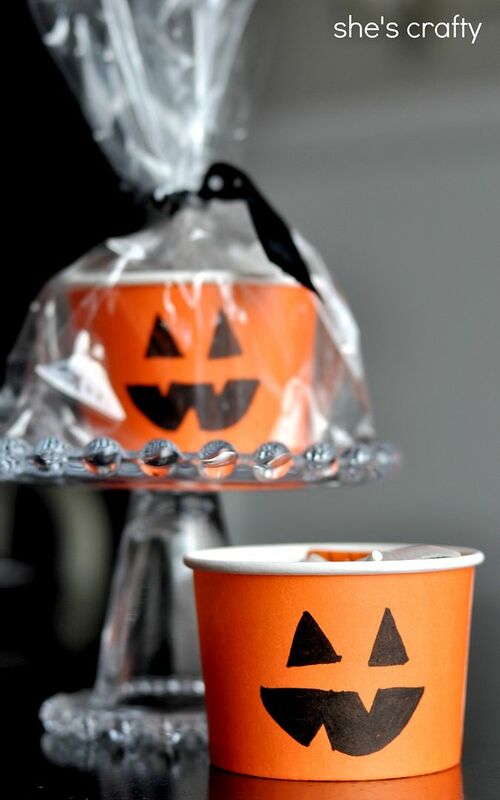 Then I put the cup into a cellophane bag which was then tied with black and white ribbon. Easy Peasy! 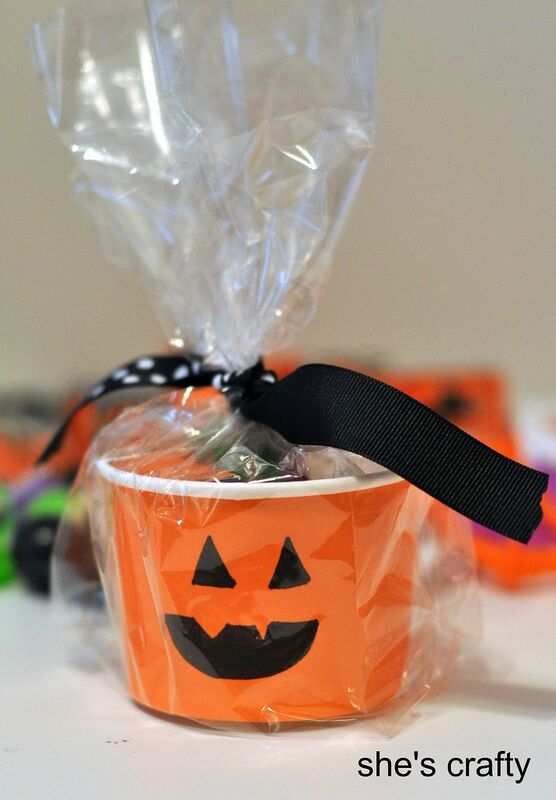 And hardly any sugar, which I'm sure all of the moms will appreciate! These are great! And, they'd be perfect for making with the kids.